Check out Guided Meditations for Busy People (MP3) by Bodhipaksa! Daniel Goleman, The Big Think: By now, everyone knows that mindfulness meditation is good for you—but what’s still surprising scientists is just how quickly it works. Ten minutes of meditation won’t make you a better mutlitasker—there’s no such thing, as psychologist and science journalist Daniel Goleman explains—but it will make you more adept at switching tasks and returning to a deep level of concentration more quickly after a distraction. We comb the internet, looking for news stories related to all forms of meditation, whether Buddhist or not. To date we have posted thousands of news stories that cover everything from meditation and health to meditating celebrities. When we publish a story that's favorable to or critical of one form of meditation, this does not imply that we agree with the stance of the original news story. 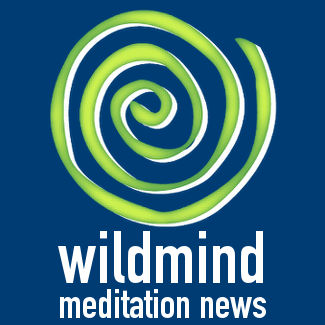 Wildmind is transforming into a Community-Supported Meditation Initiative. Click here to learn about the benefits of becoming a sponsor.